“Can I just get rid of these?” My mother turned around to show me a pair of scissors in a neon-green sheath. 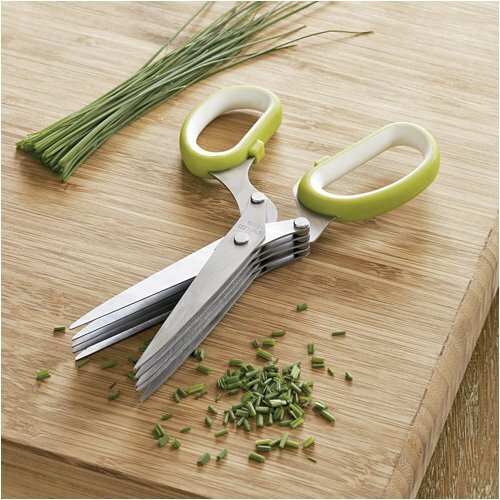 They’re herb scissors, which are really just adapted ribbon cutters and sold to culinary tool junkies at a premium. They were a Christmas gift last year from my then boyfriend and were put to use at exactly one family gathering before being promptly relegated to a bottom drawer. Like the knock-off Pop Phone he had also given me, I decided these were fated for an afterlife courtesy of the Good Will. I had a fairly simply list. In fact, it included only one item: gold hoop earrings. I had mourned the loss of half a pair at a dance party at MoMA a year earlier, and missed having such a staple in my jewelry box. They didn’t have to be real gold, I said. 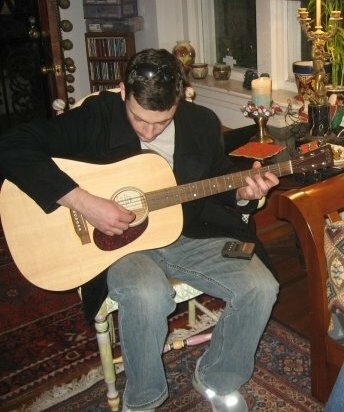 I was sensitive also to budget, (even if his salary was exactly twice the size of mine), and to ease of access. So I gave him a list of 4 pair all that clocked in under $100 and all available at stores within walking distance from his apartment. Gold (plated) hoop earrings were also thoughtful. But I suppose, that was too much of a meaningful commitment. I knew he traveled and got painfully dry skin in the winter, so he got a bar lotion (with a manly scent) from Lush. I got the academic art-history meets sociology tome by a Columbia professor. His gift was absurdly thoughtful and meaningful. On our first date, he compared me to a Klimt painting, and when I opened the paper to see the cover, the significance of the subject didn’t escape me. I made my way through the first 50 pages — there’s underlining and a note or two in the margins. Unlike the Pop Phone and the pens that have been lost or have run out of ink, it’s a less disposable gift. A metaphor perhaps for these two relationships past. Look, I know it’s Ryan Gosling and not a Lumberjack, per-say… but It’s Christmas and I’m allowed a wish-list. So while I’m in full-on Holiday Elf mode (the stockings are hung by the chimney with care!) here’s a list of things I want, no NEED, to make my Christmas a success for me, my family, and our guests. It’s reasonably straight forward and I’ve designed it as a kind of “installment plan” — one gift for every day leading up to Christmas. Advent-style. Amen. The best day to buy your tree is the day after Thanksgiving. It’s a truth no one wants to tell you, but all the trees you see in nurseries or on the side of the road have all been cut down and shipped at the same time. Even the ones you buy on Christmas Eve were harvested in mid November. A lumberjack would see my tree is the freshest on the block. One Second Day of Christmas, please Santa send to me… a fireman with a sizable hose. On the Third Day of Christmas, please Santa send to me… a chauffeur with a trailer for my shopping victories. I drove into the mall parking lot on Sunday only to drive out of it 15 minutes later — there were exactly ZERO spots available. Several people are going to be short stocking stuffers this Christmas… a shortcoming that could easily have been avoided with my own Chauffeur and a Royce. On the Fourth Day of Christmas, please Santa send to me… a man with an electrician’s degree. Lights on the porch. Lights on the hedges. Lights on the family Christmas tree. 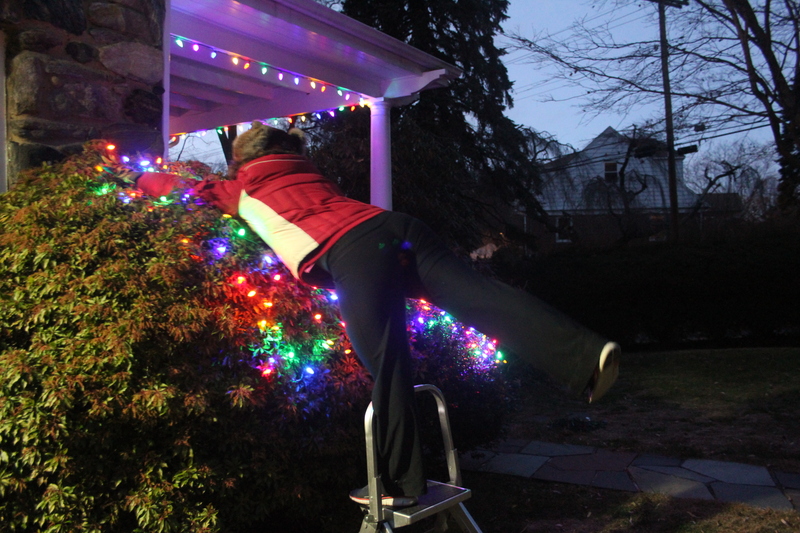 Lights, lights everywhere… and broken bulbs, wiggling wires, and frizzing fuses to go with them. For some men, the front yard Christmas light display is a sparkling, LED-enhanced demonstration of their masculinity. But whether or not he approaches the strings of bulbs and illuminated snowmen with a competitive edge, he should, in the very least, know how not to electrocute himself…and how not blow the entire East Coast grid. Clean my blinds then make me a drink. 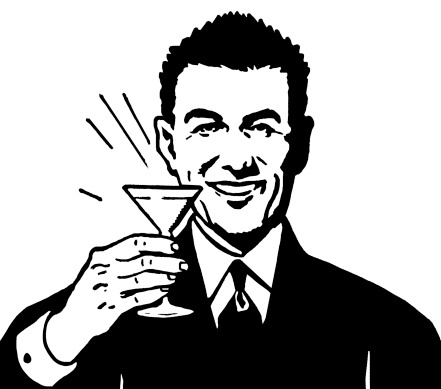 On the Fifth Day of Christmas, please Santa send to me… a butler with a feather duster… and a stiff martini. Where did all this dust come from? And all this stuff? 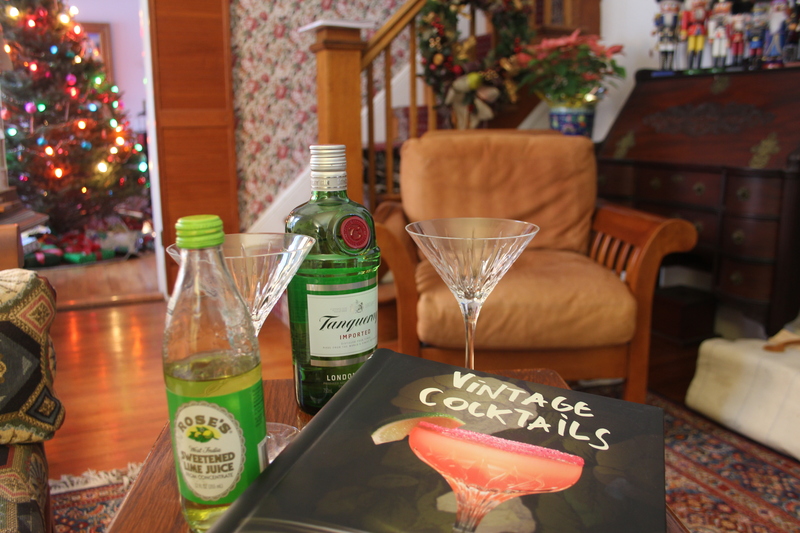 Someone needs to see that it’s all sorted out… and while they’re at it, pass me the Tanqueray. On the Sixth Day of Christmas, please Santa send to me… a masseur with strong hands and open timetable. Does this one need explaining? I think not. 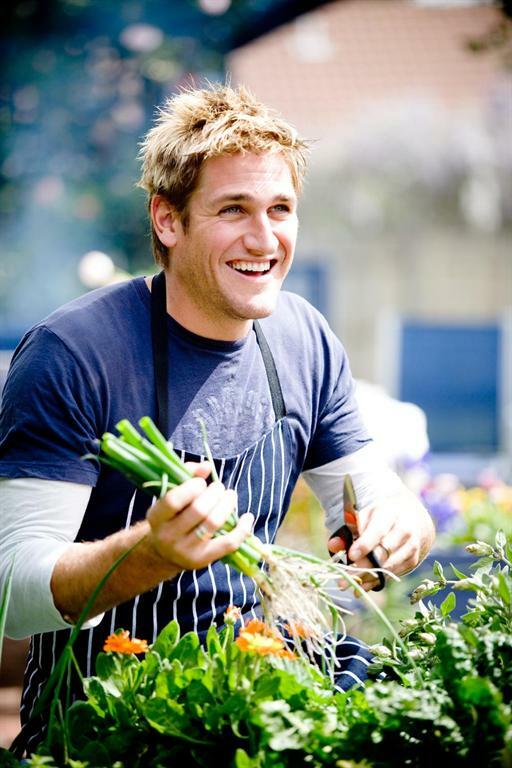 On the Seventh Day of Christmas, please Santa send to me… a free-range organic farmer. If you think the malls are bad in the final days before Christmas, try the supermarkets. I’m a big fan of farm to table — this would make it all possible. On the Eight Day of Christmas, please Santa send to me… a top chef with a knack for catering. Curtis, any day you’re in my kitchen is a holiday. I’ll bring the mistletoe. On the ninth Day of Christmas, please Santa send to me… a personal trainer. Oh, God. Have I really eaten this much already?! Preparing a 4-course meal is physical work. I need a trainer to not only help me shed those holiday half-dozens, but to help get be buff and ready for next year’s cooking marathon. On the Tenth Day of Christmas, please Santa send to me… 10 Lords a Leaping. I used to go to the Nutcracker at the NYC Ballet every year. The Candy Canes were always very impressive, and it isn’t a party unless someone is dancing… and why can’t it be 10 athletic, land-owning, titled gentlemen? On the eleventh day of Christmas, please Santa send to me… a plumber. Because all of a sudden the radiator in the living room isn’t getting hot and the guests are coming in an hour… like I really need THIS! 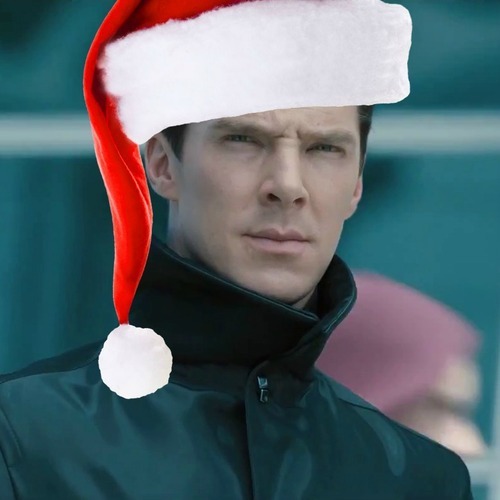 On the Twelfth Day of Christmas, please Santa send to me… Benedict Cumberbatch. Because it’s Christmas, and why the hell not. I thank you for your consideration and attention to this matter. As you’ve probably witnessed (since you know when/where/with whom I am sleeping and you know when I’m awake) the internet and real-life social networking have come-up short in fulfilling these needs. I hope you can come through where all else has failed. The Sandy Hook Elementary School shooting has punched the nation in the gut, taking the air out of our collective lungs and with it, the joy out of the season. Elementary schools are more than institutions of learning. They are supposed to be community builders and safe havens for our children. Something sacred has been desecrated. “We’re being extra sensitive. People don’t feel like celebrating. People just need Christmas to be over with,” the publisher of a news paper observed in a phone conference with me and my boss. Indeed, our hearts are all heavy. Making merry seems out of place. People just need Christmas to be over with. As I walked up Manhattan’s 5th Avenue from Bryant Park Friday night, watching families walk hand-in-hand to take in the Saks windows and Rockefeller tree or make their way to the Bryant Park skating rink, I was struck with a realization — we don’t need Christmas to be over with. What we need is a little Christmas. Christmas is about family. Christmas is about togetherness. Christmas is about healing. Christmas is about transcendence. Think about it: here we are in the middle of winter, the trees are bare, the thermometer low, and yet the world is lit-up with beams of multicolor lights. 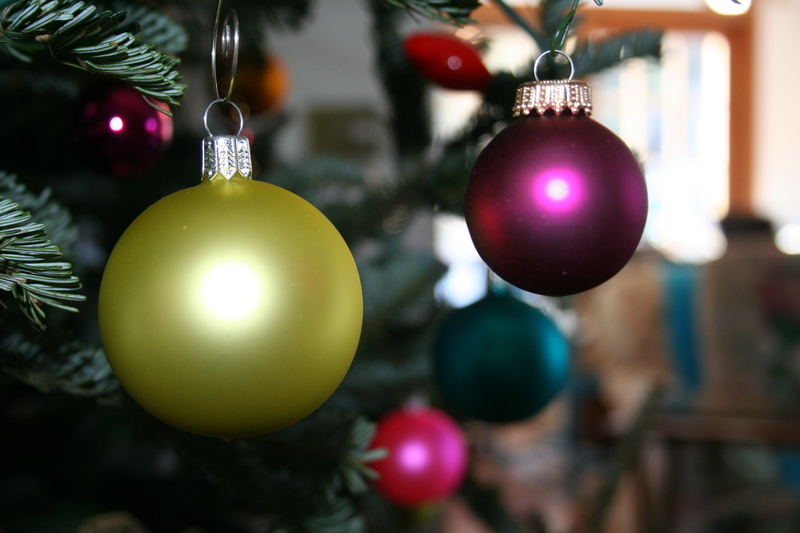 Christmas is something we can rely on — it comes back, year after year, no matter what the circumstances. It’s a time to remember and to be thankful, and this year we must all be thankful for each other, for having a Christmas to share. 26 families in Newtown, CT are having a hard time in finding joy in the season, of this there is no doubt. For those of us that are lucky to be with friends and family, this is the year to hold everyone we care about a little closer and acknowledge how precious these moments of togetherness are. Get caught under the mistletoe. Drink that extra cup of cocoa. Hug your child/parent/spouse an extra time. Leave cookies & milk out for Santa. Look in wonder at your bedazzled Christmas tree. Be a kid at heart. And at the end of the night, say an extra set of prayers — one for the families in Newtown, whose Christmases will never be the same, and one to say Thank You for the Christmas you have today. Cards? Check! Little black book? Check! Holiday cheer? Double Check! 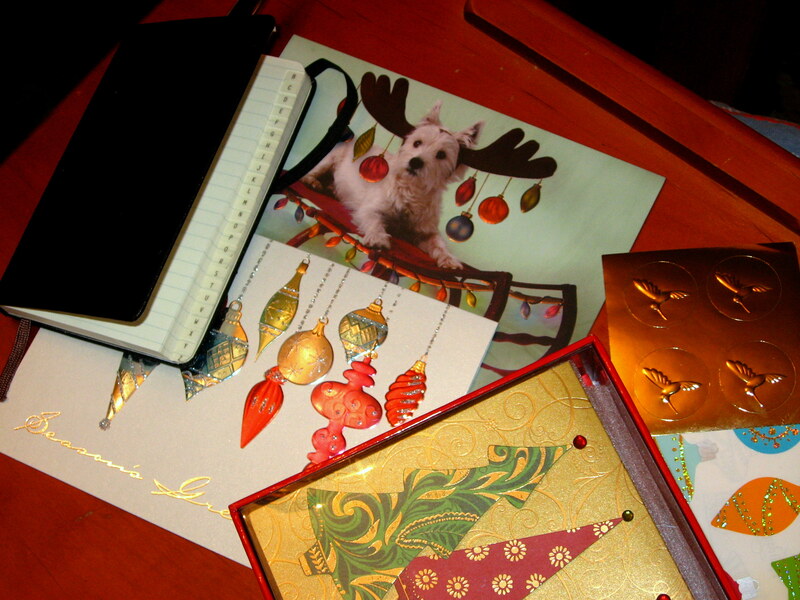 The first December after I graduated college was the first time I had ever sat down to write and send Christmas cards. My friends had scattered around the globe and as a great believer in the galvanizing powers of the holiday season, I turned to snail mail as a way to reunite. My university athletic department had sent an alumni donation-ask letter accompanied by a page of mascot-embossed address labels. I threw out the ask letter and kept the address labels. They were happily put to use on festive red and green envelopes that contained messages of merriment and well-wishes. 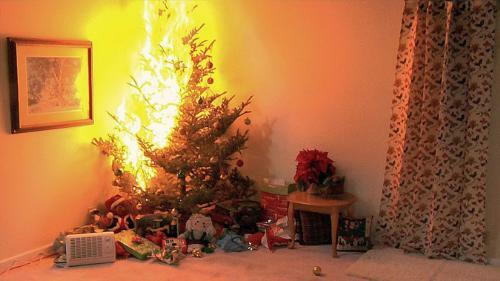 My family has never been particularly good at sending Christmas cards, so when my mother saw me in front of the fireplace one blistery afternoon with my address book and a stack of glittery “Seasons Greetings!” cards beside me, she looked puzzled. Besides letting people know that they’re being thought of, sending holiday cards is a declaration of stability — I have my act together; you have a home I can send something to; I have a return address. To me, sending Christmas cards was something responsible adults did and I was going to try my hand at being a responsible adult. I’ve gotten a new address book since then — an upgrade to the prodigal little black book. I mean, physically, it’s a small, black moleskin book that fits easily in my back pocket. The fact that more than 2/3s of the names in it belong to men really says very little about my romantic life — don’t open it expecting to find a sophisticated coding system ranking fellas from bootie calls to potential soulmates. As I began addressing envelopes this year, I realized this is actually my third address book in the 5 years since I graduated college. The previous two had been so marked up with changes as friends moved from New York to New Zealand, Hong Kong to Houston, or united in marriage or found domestic partners, or terminated relationships bound for happily ever after. In an attempt to save myself from having to make another investment in an alphabetized notebook, I began writing only names, mobile numbers, and email addresses in pen. Spouse’s name and addresses were added in pencil. If Christmas card writing/receiving represents a kind of adult stability, then my address book stands as a testimony that life as an early adult is anything but stable. “You could just send an emailable card,” someone suggested when I told her I was sending “address verification” emails to a handful of friends. Sure digital greetings save a certain amount of angst around the holidays, but I like writing Christmas cards — and not just because it’s an affirmation of a kind of grown-upness. Because it’s a reminder that even when life is unpredictable, there are always a few things you can count on — your friends, family, and a little Christmas spirit. 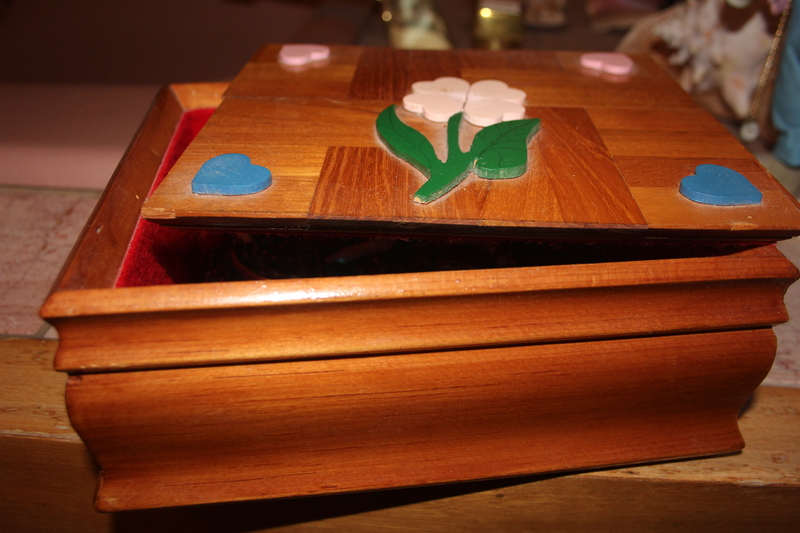 I should never have made her that scrap-wood jewelery box when I was 8 -- I set the bar too high. My mother, my wing-woman, is an Italian-Irish Catholic Canadian, but I swear, she’s got that New York City Jewish Mother knack for instilling a stomach-churning sense of guilt. She said this to me one December 22nd as she drove me home from college. I had just grumbled something inaudible about being behind on my gift-buying. Not 30 minutes had passed since I was freed from the relentless push of the semester’s end and I was worn out from two weeks of exams and term papers. There had been no time to eat and sleep let alone tackle the NYC holiday shopping crowds. Not surprisingly, I was in that typical student mode of pure selfishness. Forget holiday shopping and bow making. Forget fa la la la laaaing and joy to the world. I was going to sleep for the next 24 hours… some one else could deck the halls. My mother, like all mothers, is a notoriously bad person to draw in Secret Santa. Shopping for her Christmas gifts makes me sweat, ties knots in my stomach, and often causes hyperventilation — I started carrying a brown paper bag with me when I hit the mall in Santa mode. Yet, once upon a time, all I had to give her for Christmas was a glittered construction paper and doily card gingerly assembled during afternoon craft hour. Mum had made a good point (one I’m not entirely sure she meant to make) — homemade presents are not only more thoughtful, they’re also easier: standards are lower. A summer vacation scrapbook? 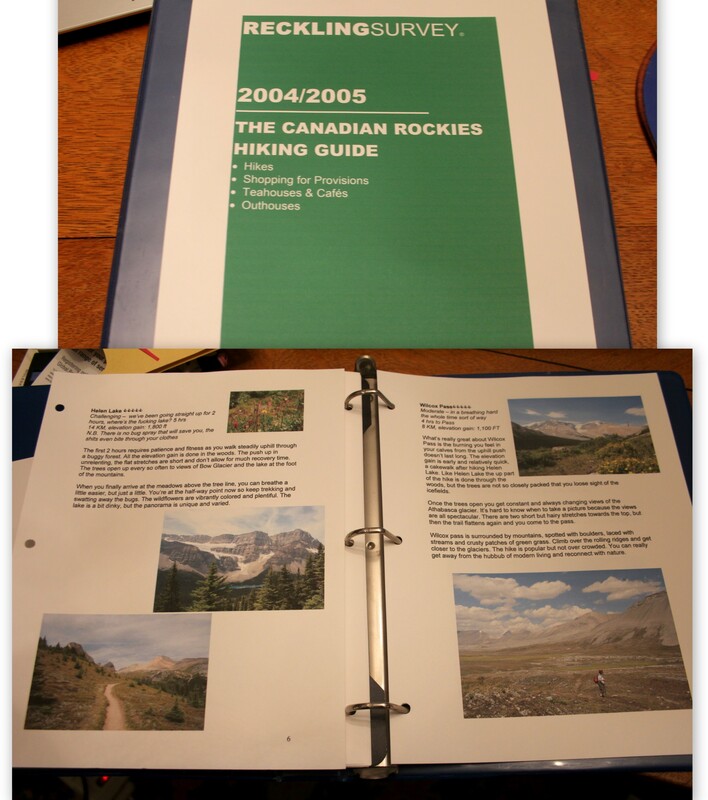 Who doesn't love a sentimental photo album, witfully assembled? At home, bedraggled but eager to please, I rummaged through drawers and bins on a hunt for stowed-away crafting supplies. I should never have made her that scrap-wood jewelery box when I was 8 — I had set the resourceful bar high. Many years later, the only materials at my disposal were faded construction paper, colored string, and macaroni. Sitting on my living room floor, in front of the fire, I consulted my creative side and got to work. A humorous scrapbook from our summer vacation? Who doesn’t love a sentimental photo collage? A construction paper collage card? It would be just like kindergarten. Half the fun of Christmas is rekindling your inner child, isn’t it? But the piece de resistance of that Christmas? The pasta necklace. Despite its aesthetic qualities and the diligence with which it was crafted, like many a Christmas present past, it never got any use. But my mother’s hearty laugh and big hug upon opening it said it all: this time, it really was the thought that counted. A construction paper card and macaroni necklace made by a 20-year old college student. Without a doubt, it was the thought that counted.